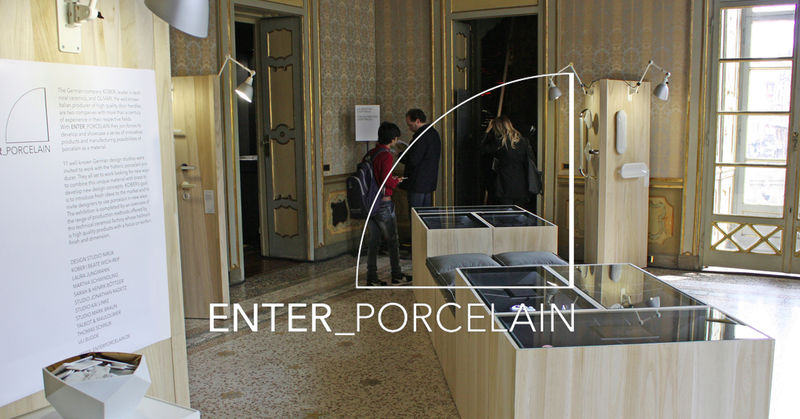 The Making of the porcelain Olifant MOVIE! What makes the Olfiant special is not only the collaboration with the ‘Save Africa’s Elephants’, but also the beauty of the porcelain material and the people behind the manufacturing process. This short movie shows the passion, time and complexity of making this little ceramic sculpture. Save Africa’s Elephants helps to foster young orphaned elephants and returning them back into the wild. With every purchased Olifant a portion of the revenue automatically goes to this organization.The Olifant comes either in porcelain or solid wood and with several color options. 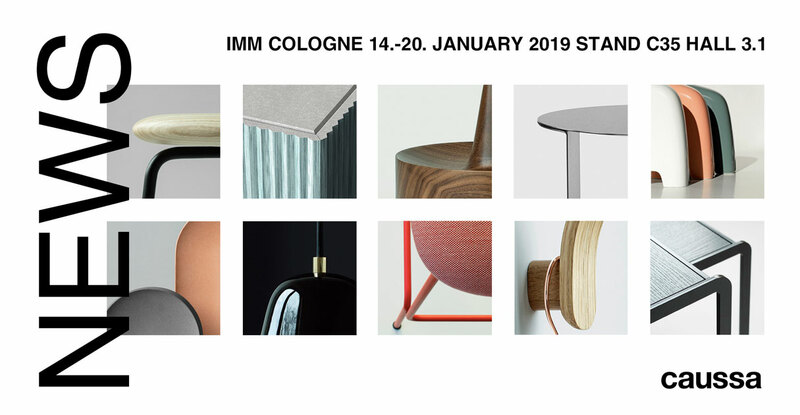 It’s almost time for the IMM to open its doors in Cologne again, and we can not wait to show you new collection of furniture, lighting and home accessories. We are excited to present new pieces like a porcelain lamp by LAURA STRASSER, an innovative cabinet system by RSW made out of a future-orientated wooden material, a lightweight and versatile bar stool by ANDREAS KOWALEWSKI and beautiful ceramic and wood home accessories designed by DE INTUÏTIEFABRIEK and DIIIS DESIGNSTUDIO. We look forward to seeing you soon in Cologne! 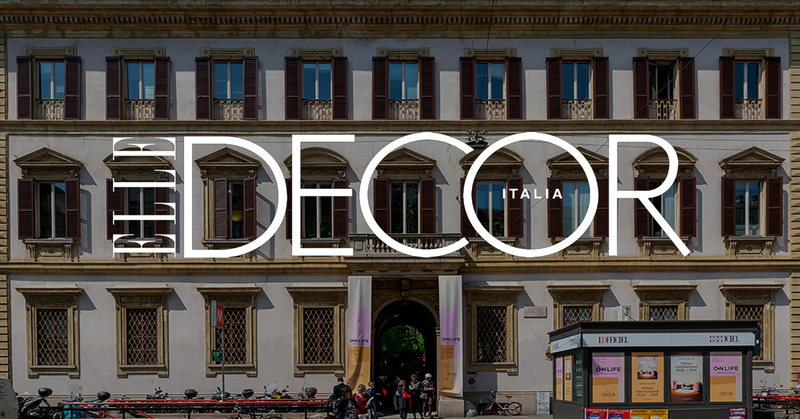 Happy to see more publications of our collection! 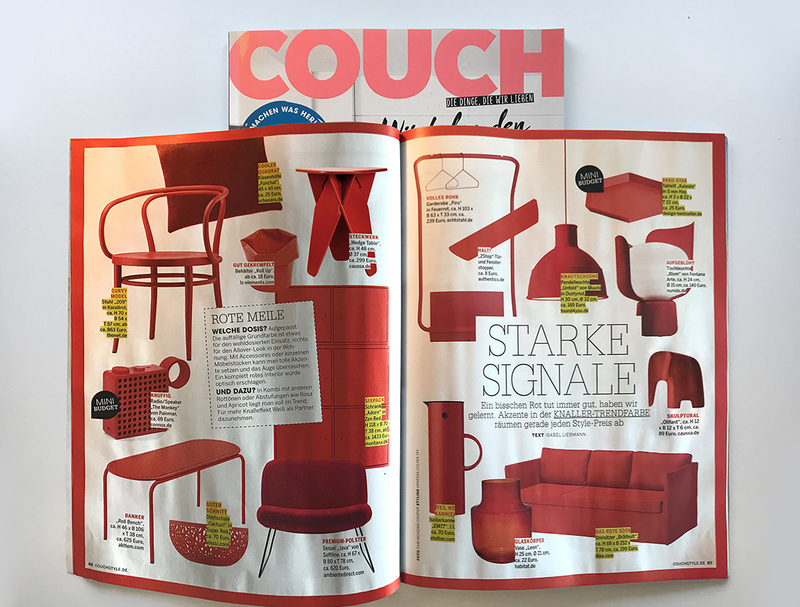 Happy to see more publications of our furniture and home accessories! 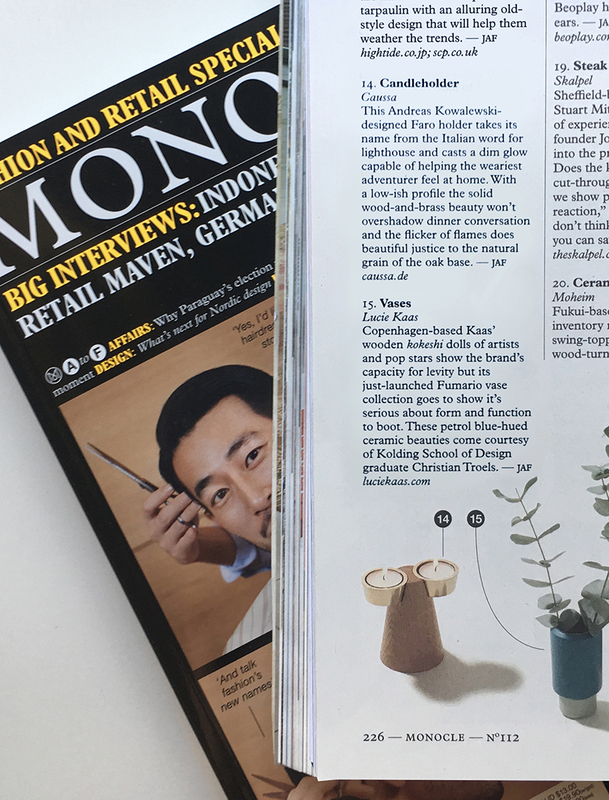 Thank you so much Archidigest, Monocle Magazine, Couch Magazine and DDS Magazine for featuring us! 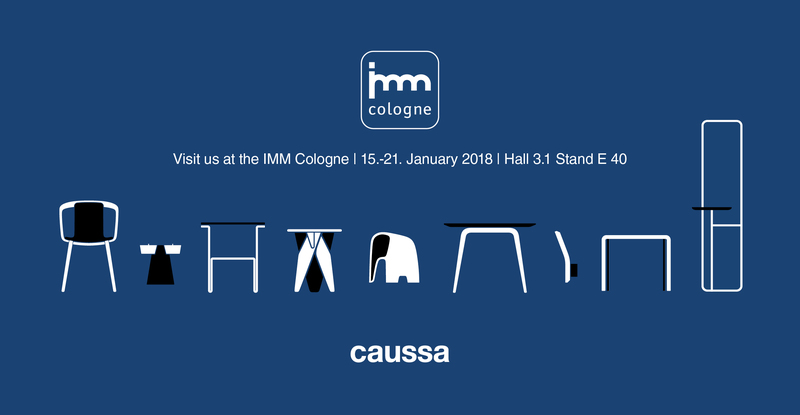 Come and visit us at the IMM 2018 in Cologne! Faro candle holders featured in the latest AD magazine. “Stille Nacht, helle Pracht”. 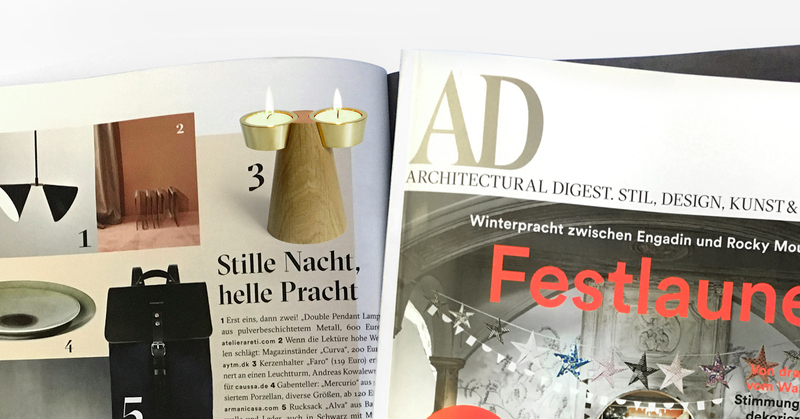 Happy to see our Faro candle holder in the top list for Christmas gift ideas in the latest Architectural Digest magazine. Have a look in our online store, there we have four different versions of our tea light candle holders available, made out of solid brass and oak wood. 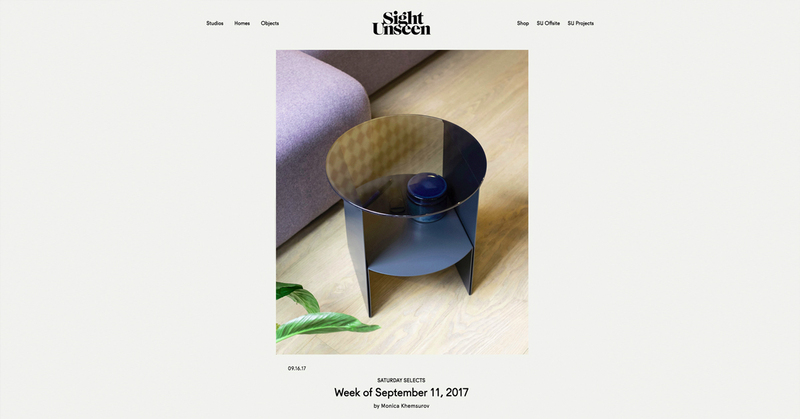 Sight Unseen discovers our passage table. 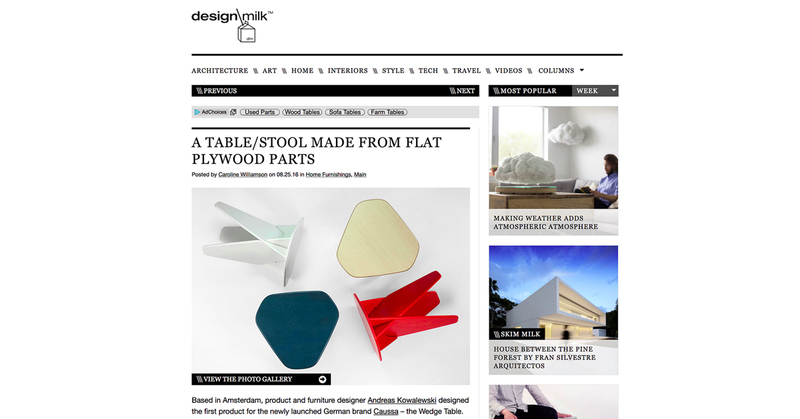 Thank you Sight Unseen for discovering and writing something about our new Passage table! We are proud to unveil our new 2017 home collection! We have been very busy in the past 12 month, working hard and with much passion on our new creations. That’s why we are very happy to finally share with you today, what we’ve been working on for so long. 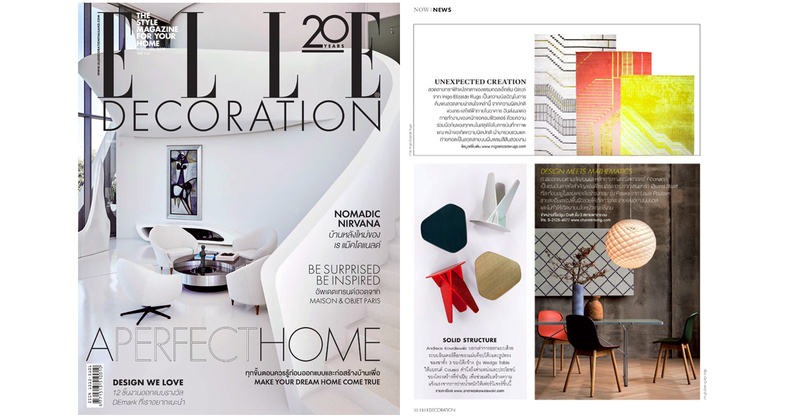 We are delighted to see our Wedge Table being featured in the latest Elle Decoration magazine in Thailand. 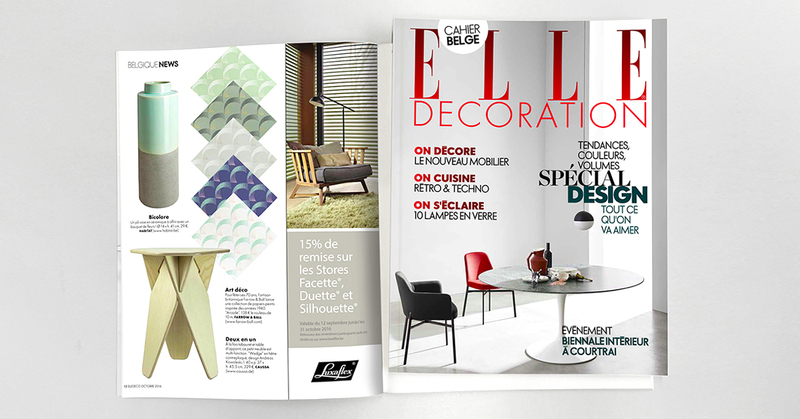 Elle Decoration likes our Wedge Table! Thank you Elle Decoration Magazine for featuring our Wedge Table on page 12 in your October issue! 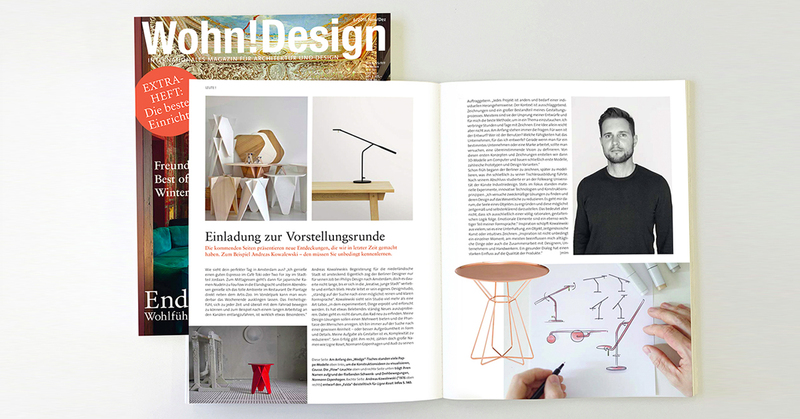 Interview with Andreas Kowalewski in Wohn-Design magazine! 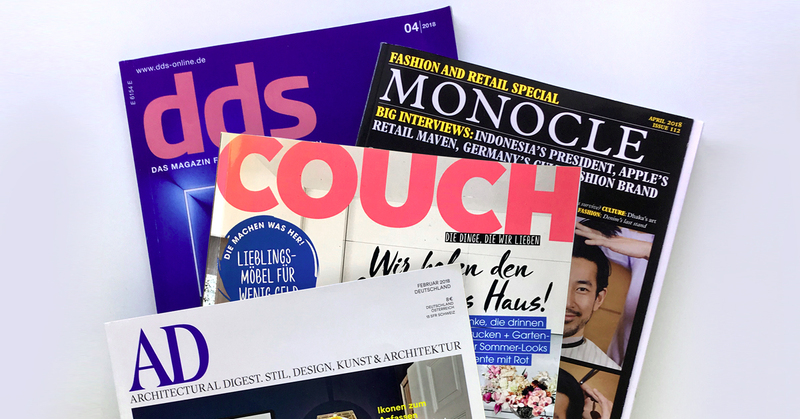 German magazine Wohn Design just published an interview of our designer Andreas Kowalewski. Check it out at the newspaper kiosk. 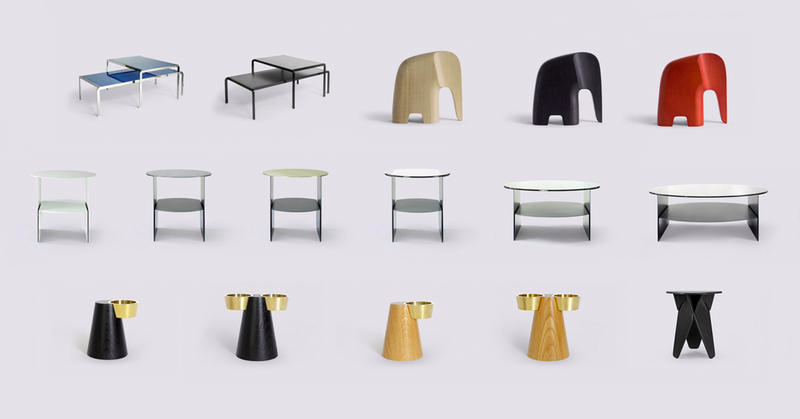 Nya Rum magazine features our Wedge Tables! 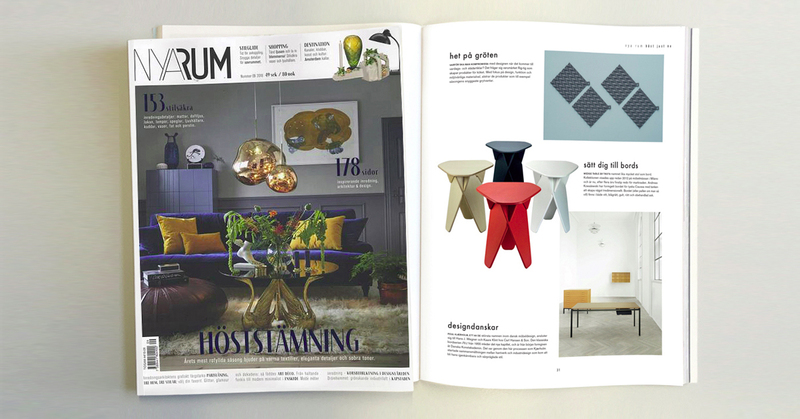 Swedish magazine Nya Rum is featuring us and a selection of our Wedge Tables in their October issue 2016! Check out page 31. 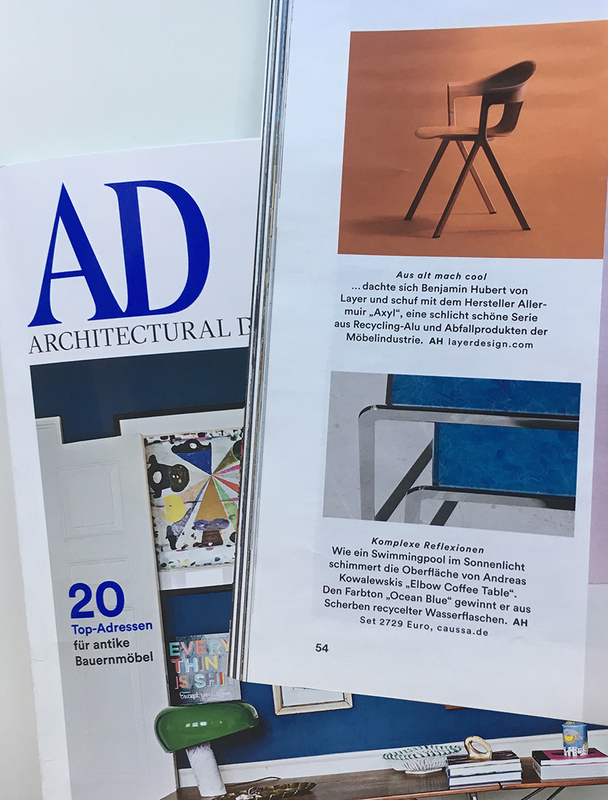 Wedge Table in Schöner Wohnen magazine! 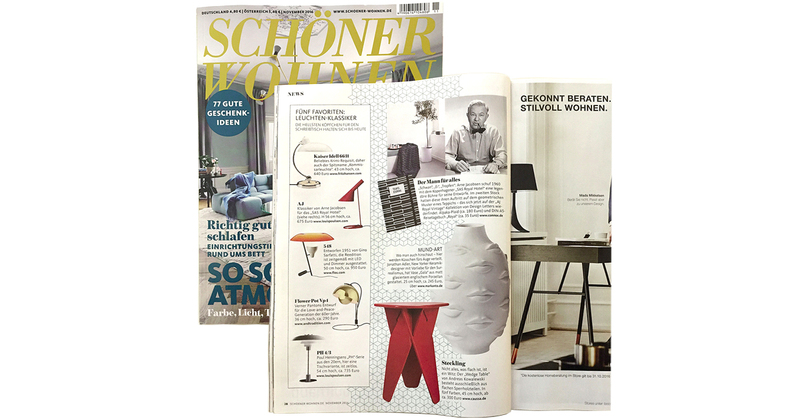 We are happy to see our Wedge Table featured in the November 2016 issue of Schöner Wohnen, Germany’s most popular interior design magazine. Check out page 28! 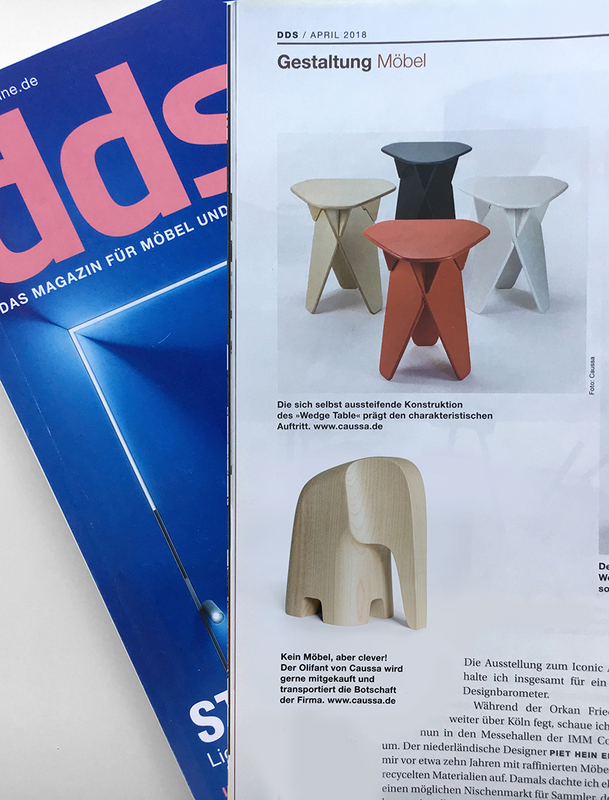 Design Milk editor Caroline Williamson published today a nice artical about our Wedge Table, its designer Andreas Kowalewski and about the launch of our label Caussa.